When you are charged with a DUI, there are a number of things to consider. Will I have to pay a hefty fine? Should I worry about losing my license? The answers to these questions depend greatly on whether or not this is your first offense as well as your BAC levels at the time you were pulled over. In addition to fines and license suspension, there could be another looming question on your mind: Can getting a DUI affect employment in Boise, Idaho? 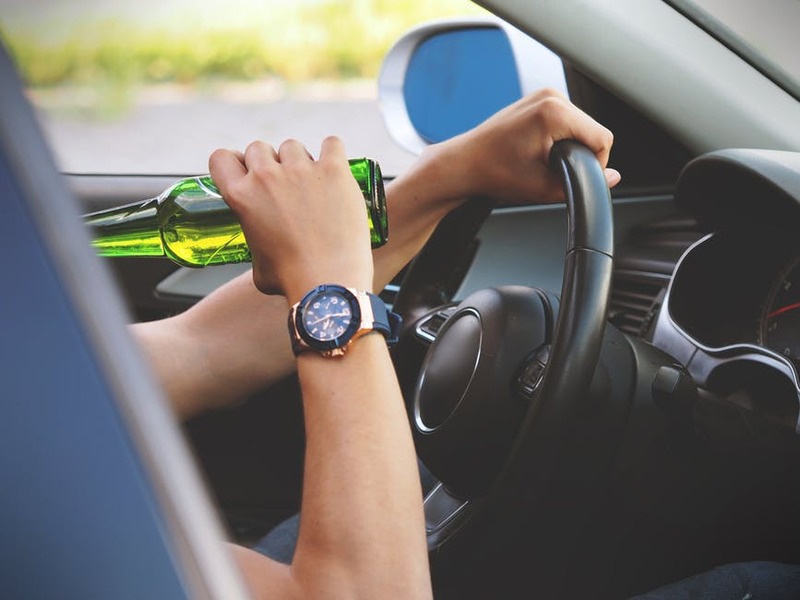 While this will partially depend on your position and your relationship with your employer, it is definitely something you should consider when facing drunk driving penalties. The state of Idaho is an “at will” employment state. This means that there isn’t any guarantee on the duration of any employment unless a contract states otherwise. So, you or your employer can end the employment relationship at any time. Many employers explain this in their employee handbook or policies. Additionally, many unions make great lengths to publicly provide information on at-will employment. However you may be wondering: can a company use this to let a DUI affect employment? An employer has the right to terminate employment for any reason. This is especially true if your license is suspended or if you have a job that requires you to drive often. If your DUI affects your ability to travel to and from work or to complete your job duties at all for some period of time, your job may choose to let you go. This is why you should always reach out to a Boise, Idaho DUI lawyer to discuss your case as soon as you are charged with driving under the influence. Just because you are charged does not mean that you are guilty or that you should face severe penalties. Your lawyer may be able to help you reduce or eliminate your penalties so you do not run the risk of losing your license, and by extension, losing your job. Will getting a DUI affect employment? The answer is yes! That is why you should reach out to Boise DUI Guy for legal guidance when facing charges. Can a DUI affect employment solely based on company policies? Yes. Many employers also have a policy that outlines that getting any conviction can be reason for termination. There is usually an honor system in place where the company relies on the employee to report an arrest. This may cause you to immediately lose your job, however, it may not discredit your ability to benefit from unemployment in some cases. However, it doesn’t mean that your employer doesn’t have the right to conduct a background check after the probationary period. Boise, Idaho has no restriction on when an employee may conduct an employment background check. This is yet another reason why you should rely on a DUI lawyer in Boise, Idaho if you are charged with a DUI. Not only can a DUI affect your current employment, but it could hurt your future prospects, as well. A lawyer will be paramount in reducing or eliminating your charges completely. A suspended license is probably the biggest issue for adults when they face DUI penalties in Boise, Idaho. If your license is suspended, then you may have to use public transportation or find other means of getting to work. Showing up late, not finding affordable transportation, and tardiness can all lead to an employer choosing to terminate employment. Even if you have had your license suspended due to a DUI, there are still options available to you. There are circumstances in which a Boise, Idaho DUI lawyer could help you get your license back. If you’ve obtained an exception to drive during work hours, you’ve overcome one hurdle. The next hurdle is a bit more difficult. Needing insurance is a requirement for nearly any employer that includes driving as part of their daily duties. In other words, if driving is one of your job requirements, then holding current insurance usually is too. Some insurance companies have a clause that ends the policy if convicted of a DUI. Additionally, your employer’s insurance may refuse to insure you under their coverage. In these situations, your employer might not have any other option but to terminate employment. If your employer does manage to keep you on their insurance, it may be too expensive for them to afford for long. Employment background checks are a tool that companies use to build up a structure in their hiring process. When reviewing new hires, many employers have policies specifically for handling employees with convictions, required jail sentences, or even specifically drunk driving charges. This typically starts with an employment background check. In Boise, Idaho employers often require an employment background check prior to an employee completing a probationary period. The process allows employers to have a full understanding of who they’re hiring. Can a DUI affect employment? Absolutely. Will a DUI affect employment? Possibly, but there are options available to you to help reduce any negative effects a DUI charge may have. Working with a DUI defense attorney in Boise, Idaho can help you understand your options. Contact the Boise DUI Guy to schedule a consultation today.